I am a big fan of Sophie McKenzie. I thoroughly enjoyed her Blood Ties duology, the first instalment of which I discovered while stocking YA as a staff member of Angus & Robertson many moons ago. The second instalment, Blood Ransom was my very first e-book purchase. In other words, there is a very special place in my heart for Ms Mckenzie. Split Second is about Nat and Charlie, based in futuristic London when poverty, unemployment and terrorism is at an all time high. Nat and Charlie meet 6 months following a bomb blast at a popular market place that kills Charlie’s mother and puts Nat’s brother in a coma. After an initial misunderstanding both join a secret vigilante army to seek vengeance against the extremist group responsible for the blast and this forms the crux of the book. Nat and Charlie are good characters with strong voices. Their emotions, relative to such a tragic incident in their lives, are more or less spot on. Charlie’s tendency to hide behind anger is believable if not frustrating, while Nat’s cautious determination is endearing. The dual perspectives makes for a great insight into both psyches. Split Second has fantastic premise and the blurb certainly reflects that much. I would have just as easily picked this up even if I was not a Sophie McKenzie fan. Maybe I have become too old and jaded but I found Nat and Charlie to be very naïve. Nat was a bit cautious but Charlie took things at face value and jumped into situations unquestionably. She had a fierce way of doing it so the naivety was not as apparent at first. Then again, if I was a young individual reeling from family tragedy brought about by unnecessary violence, I maybe naïve and devoid of caution as well. The fact that Nat and Charlie tend to make googly eyes at each other despite being in life-threatening situation after life-threatening situation was also particularly off putting. Unless that is also something I am misjudging due to being old and jaded. Maybe you do have the time to notice how hot someone is when you are racing against the clock to stop an explosion. 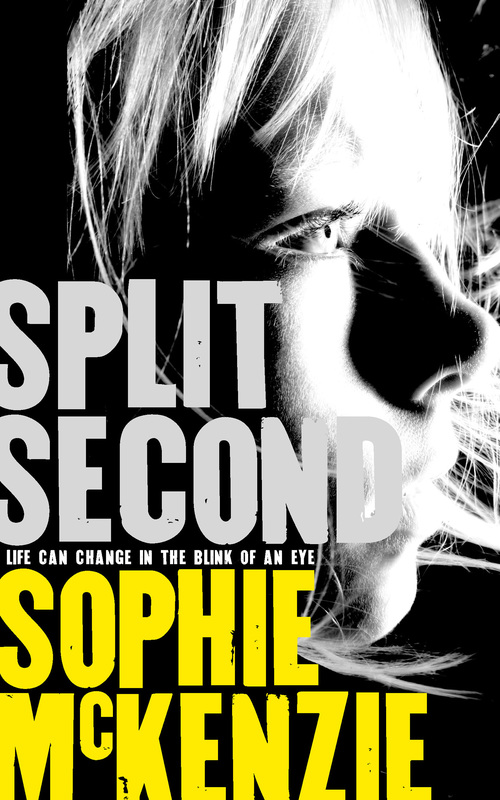 I read Split Second almost immediately after Genevieve Valentine’s Persona (review coming soon), a novel wise beyond its genre and that may have contributed to Split Second’s doomed fate. Finally, what really made me decide to leave this book unfinished was the fact that I guessed the bad guy from the first few chapters. Thereafter, I could not resist a quick perusal of the final chapters and my suspicions where confirmed. In Conclusion, I was convinced of my forthcoming love affair with Split Second (and its sequel Every Second Counts) given how much I enjoyed McKenzie’s Blood Ties. I was looking forward to it. Therefore, it was with a heavy heart that I had to leave it unfinished. That being said, if you consider yourself young at heart or literally have a younger heart that is unpolluted by the world, by all means, give Split Second a shot and let me know if I have been unnecessarily harsh.